My friend Griffin Jackson started a website called The New Mic a few months ago. The New Mic is “an online magazine for college students and recent graduates, covering a wide variety of topics from campus, lifestyle, politics, culture, arts, tech, and the latest viral hits.” The cool thing about The New Mic is that, in addition to having a college/recent grad audience, it is written and maintained by college students and recent grads, too. In addition to being an occasional writer for The New Mic myself, I agreed to take on the redesign the site. 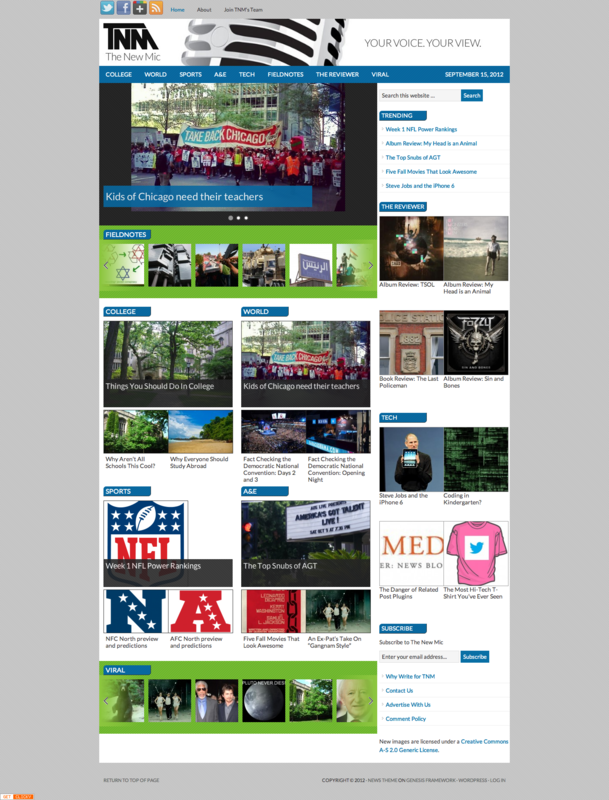 The first iteration of the redesign debuted this past week. 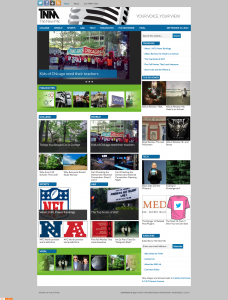 The redesign focused on the homepage and included the incorporation of a featured posts/must reads slider, Fieldnotes and Viral carousels, and several category sections to display the latest posts from the main sections of the site: College, World, Sports, Tech, and The Reviewer. The site really is about anything and everything that 17-26(ish) year olds care about that’s in the news and on the Internet. Check out The New Mic yourself. Feel free to comment on articles you like, share content, or — if you are a writer/up-and-coming journalist 17-26ish years old — get in touch with The New Mic’s editor. It’s the perfect platform to share your stories and build your writing resume.